It’s a Speech & Language session, and as a way to make sentences involving action words and pronouns, we’re discussing chores. I ask Charlie, age five, what kind of chores he does at home; the things he does to help out. “I no got chore!” Charlie states, proud. “You don’t have any chores?” I ask, correcting grammar as I go. “Why not?” Many kids today don’t have as many chores as they can actually successfully master, but most are at least asked to pick up after themselves, to put their dirty laundry in the hamper, or their dishes in the sink. In Charlie’s case, I know for a fact that his mom and I had a discussion about adding routines and responsibilities, and that she told me she had initiated some chores with him, one being picking up his toys. So I’m a bit flummoxed about his response. I take a longer look at him–is that a little twinkle in his eye I see? I wait. “Because I no do good,” he says after a pause. Yep, definitely a smirk. There’s a story there. “What do you mean?” I ask, keeping my face neutral, though internally I’m already chuckling. Charlie’s a pip. Angel-faced and flaxen-haired he is indeed a good boy, but it would not do to underestimate his little mind’s cunning. Whatever this is, I know it’s going to be fun. He grins. 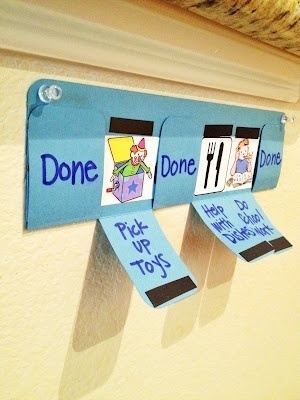 “Mommy say I clean up room I get stars,” he begins, looking at me intently to make sure I’m going to ‘go all adult’ on him or something and critic him; or worse–tattle to his mom. “Okay … so your mommy said that you had to clean up your room, and that if you did so you would get stars,” I repeat what he said, both to give him a model of better language and to make sure that I understood him–his grammar leaves many holes in sentences and makes his speech less intelligible than should be at his age. It is why I’m seeing him in therapy. I keep my face smiling gently, not promising anything but hoping to still encourage him to spill the beans. “I everyday put all stuff under bed,” he states victoriously. “You put all the stuff under your bed instead of back where it belongs?” I prompt, grateful for years of perfecting the occasionally necessary poker-face. I can’t help but laugh. Charlie 1: Mamma 0. Told you he’s an imp. This is excellent, gives me a glimpse into your speech work with kids, and I love the little alien sweeping leaves under the sidewalk. Great addition to the blog! Thanks, Sonnische! It is always fun with those kids–which makes my work so amazingly rewarding. Would not change it for the world! Every session is different, every child is unique, every issue has its best ways to be addressed, every task can be made into something else depending on what we need to achieve. 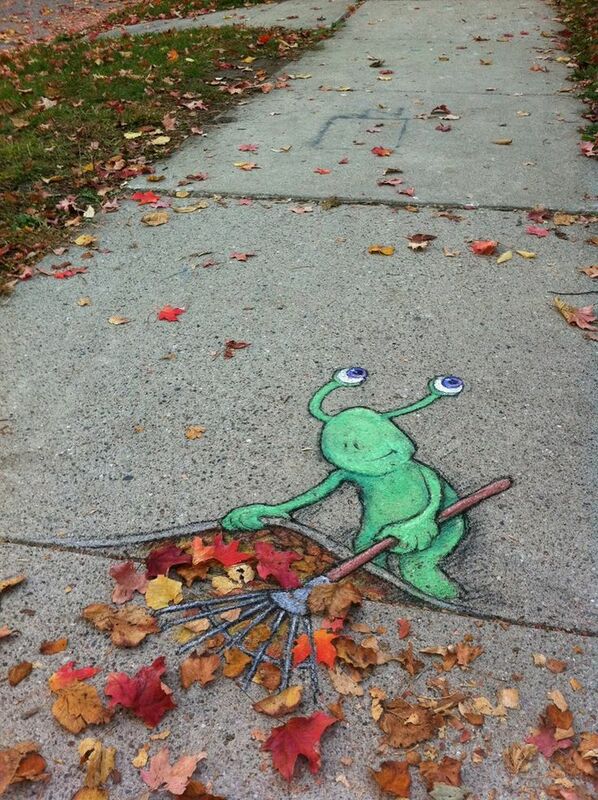 As for the little alien sweeping leaves under the sidewalk–it made me laugh when I saw it (Pintrest) and I just HAD to use it for this! I have long thought that husbands use this technique and get really good at it as time goes by. (Wives may, too, but I’ve only had husbands so I don’t know about it working the other way.) Ask them to fix something/do something, and you have to take ten minutes to explain how to do a five-minute chore. Then you say, “Forget it! You no more asked be to this fix.” Voila, they are off the hook! Thanks for this great article, as always.